When drives from a storage pool are connected to a Windows computer, it automatically detects them and assembles storage spaces accordingly. 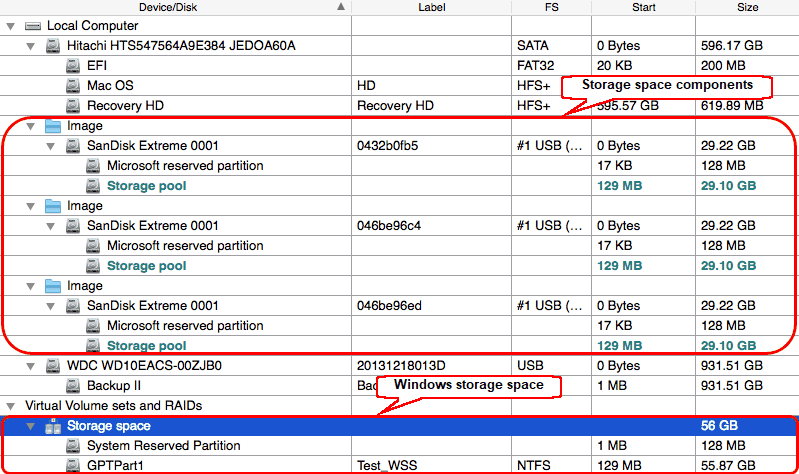 R-Studio supports Windows Storage Spaces created by Windows 8/8.1 and Windows 10/Threshold 2/Anniversary/Fall Creators updates. When Windows storage spaces use caching, R-Studio can process both the cache and the storage space itself simultaneously greatly increasing chances for successful recovery of deleted files. For SSD (Solid State Device) media, bypassing the cache may be the only available option to recover lost files. 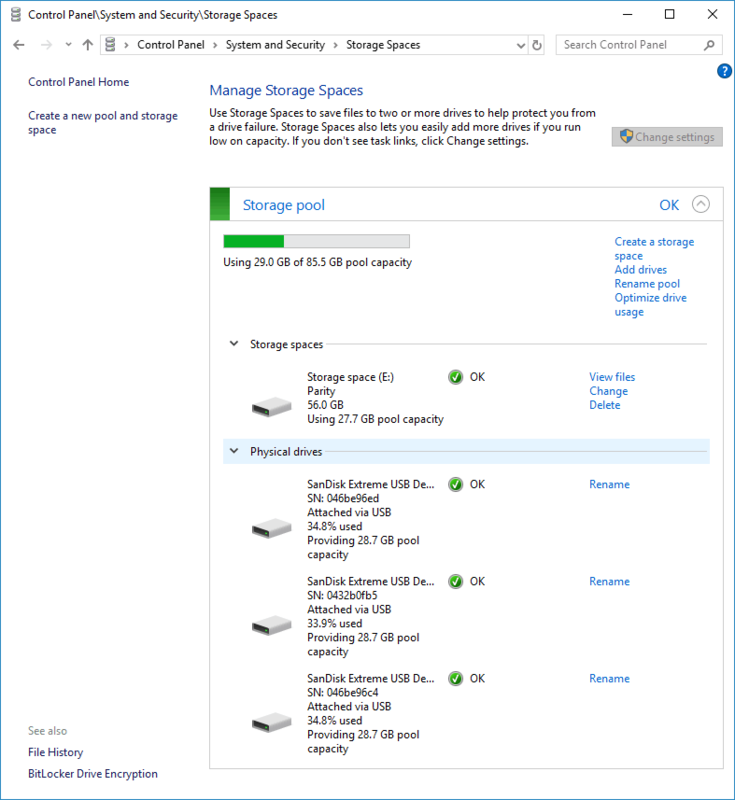 Storage pools and spaces can be managed using the Storage Spaces item in the Windows Control Panel . If recognized parents of a storage space, including disk images, are added to R-Studio later, it automatically adds them to their respective storage space. 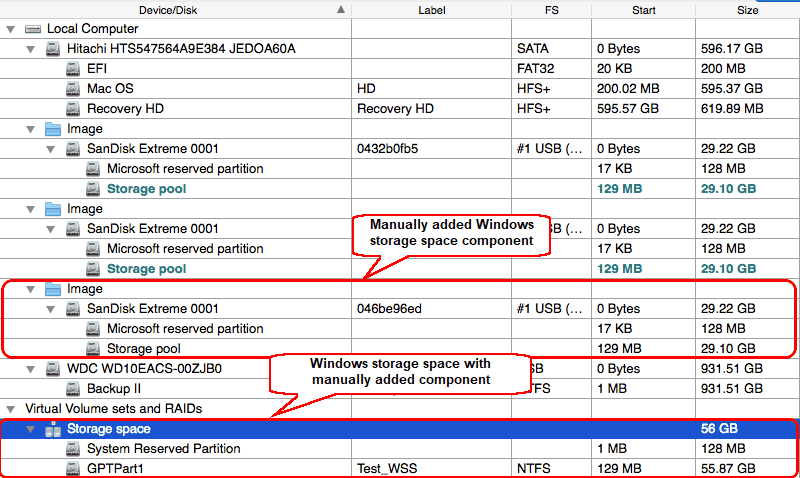 When an automatically created storage space is selected, R-Studio highlights its components. 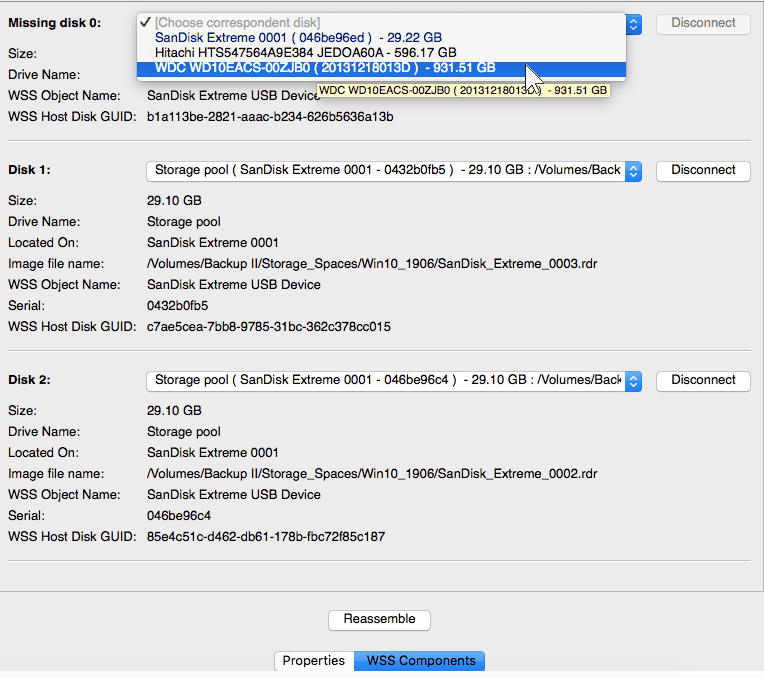 R-Studio shows the components of the selected storage space on its WSS Components tab. 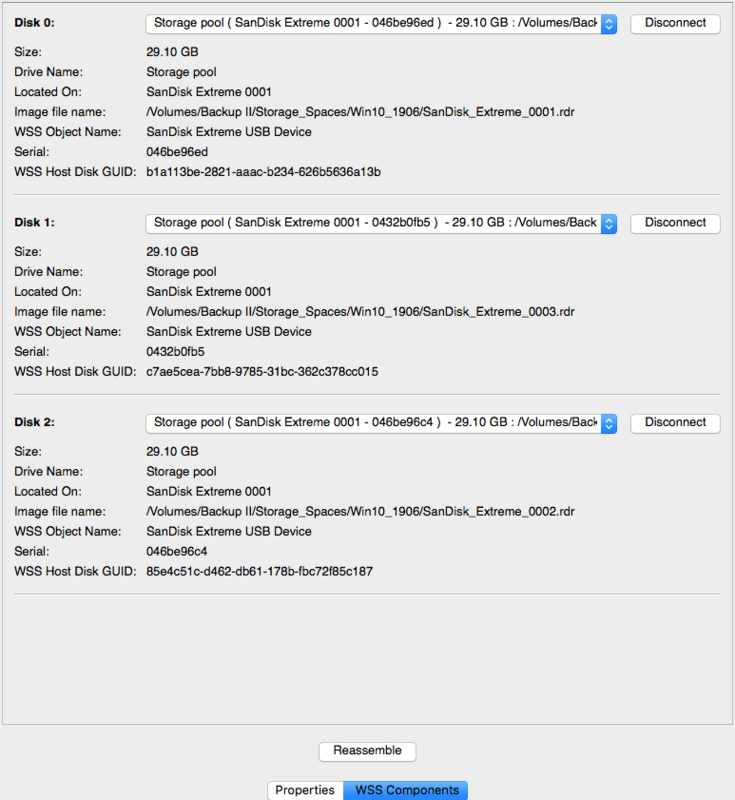 R-Studio shows broken storage spaces in pink. The WSS Components tab also allows you to manually disconnect or connect the components, for example, if they are such damaged that R-Studio cannot recognize them as parts of a broken storage space. Select the object from the drop-down box and click the Connect button. R-Studio displays the objects it recognizes as the components of the storage space in blue. You may immediately switch to the storage space configuration that R-Studio believes most probable by clicking the Reassemble button.